Just been informed a MRC Scotland is being opened and I believe in Glasgow. 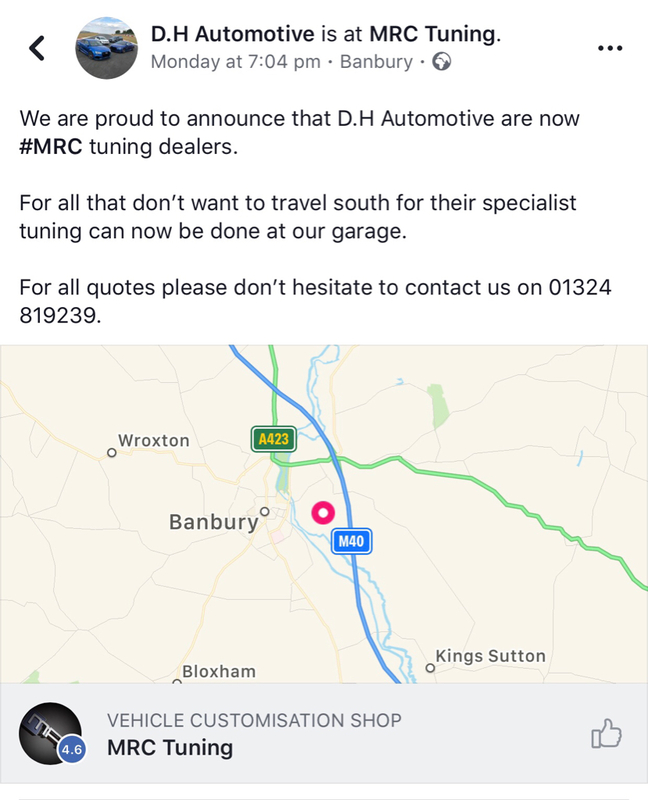 It’s a Ex RS3 owner but not my place to say who as I’m not sure if he is put it out there yet but thought I’d just let use all know if use are stuck for remapping. Hopefully not long till he is open. He also will have a brand new dyno. This is brilliant news for me for little tweaks when I get new mods. I’m sure it will benefit a lot of people on here. Tashfeen and evil_scooby like this. Sherv, FBF01 and Sandra like this. Sandra, Marshy and Tashfeen like this. Is interesting he has rs3 saloon but Doug at mrc mapper it for him recently. Wonder if mrc will send up set maps? Wagner and remap deal sounds good. Dave is one of our site sponsors on here. DH Automotive. @Daveheson . I will ask him to put a few more details up for you all. Sherv, Thundercliffe81, FBF01 and 1 other person like this. You don't just become a top experienced tuner overnight, it will take years upon years of tuning expertise and know how to reach the levels Mihnea can tune a car at. Stage 3 big turbo tuning? Syveccs tuning etc? ECU cracking etc, I think all that would still have to go to Banbury until Dave establishes himself. Stage 1 generic file upload and dyno, on road testing etc then yes, it's a great place to start. Installing a dyno is a strong investment though and good on him for making that leap. Definitely good news for those in Scotland and the north of England, saves us all a long trek to Banbury. FBF01, D0C and Sandra like this. JG51 AUD, Spaceman_RS3, Thundercliffe81 and 2 others like this. Meanwhile...in Yorkshire haha. I'm slap bang in middle. B8 RS4 owner. Want to properly maintain, obtain a Non res Miltek and change to a good KW V3 suspension set up in next 12-18 months. Visit Unit 20 or worth the the drive to MRC South/North? Good that they're branching out though! Have a look at his Facebook page see if that helps you decide. You also have Chris at CM Tuning in Leeds. He used to work at MRC for 10 years or so and certainly knows his stuff. He has a dyno and also can do stage 1 and 2 maps. Tashfeen and Thundercliffe81 like this. Ahhhh. Did not know that. This has peaked my interest for sure. Cheers for that bud. Take it proper carbon clean etc is available? I'll go check their site now. Not much on website but looks like he might have one from a FB post my mate sent earlier. Wow! I messaged Dave a few days ago on facebook asking about a mrc map as I stay in Scotland and was seriously considering driving down to unicorn in Stockport. MRC tunes, an hour from my house is insane as all the best vag mappers in Europe are in England! Thundercliffe81 and Marshy like this. Yep Chris defo knows how do do a good carbon clean (walnut blasting). He offers pretty much everything mrc can offer besides stage 3 software. Im sure he must have a dyno if not I have no idea how he is measuring the power which his tuned cars are making. Yeah exactly. This place sounds spot on for me then. Much appreciated. Spaceman_RS3, Thundercliffe81 and Sandra like this.